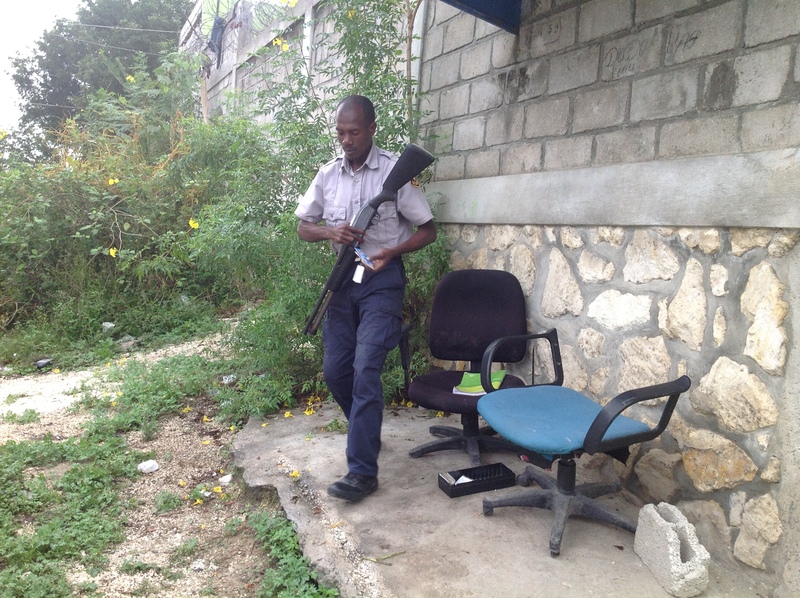 I was working in Port-au-Prince last week during hurricane Sandy. The rain was so heavy that it drove many people on to the streets where they stood at the roadside, drenched. I was struck by how quickly debris washed off the hills and lay across the road, like in some apocalyptic disaster movie. By Thursday the normally gridlocked traffic had all but disappeared. The government said that dozens of people died and that widespread flooding destroyed roads. Mudslides swept buildings away, sending more than 5,000 people into the already overcrowded temporary camps scattered across Port-au-Prince, home to families who lost their houses in the 2010 earthquake. I can’t imagine how awful it must be to cower in a makeshift tent during a week-long deluge, so soon after having your home wrecked by another natural disaster. Even before 2010 the country was already grindingly poor. Over half of all people live beneath the international poverty line of $1.25 a day adjusted for the cost of living. That’s about 5 million people subsisting on 78p a day. Last week I visited MINUSTAH, the Brazilian-led UN mission. It’s a blue-and-white city near the airport where staff go to work in air-conditioned portacabins. I’ve never seen so many white Toyota Landcruisers. I even glimpsed an armoured personnel carrier. The base is so big, apparently, that the trade statistics show a significant increase in imports from Latin America. In Petionville, the posh end of town, razor-wired mansions tower over slums. We went for a jog between 100-foot high walls with medieval iron gates. Rows of low concrete houses cover the steep hillside, just visible through the palms that fringe the gated community in which we have the misfortune to be imprisoned. At night a few lights go on but electricity is too expensive for more than a bulb per house. They’re the lucky homes. Apparently the quake hit hardest in the low-lying areas near the coast. I’ve been banned by work from going there because it’s supposed to be too dangerous. The murder rate in the city this year jumped to 60 per 100,000, about 10 times the global average. Guns are everywhere. If numbers can even vaguely capture such iniquity, the Gini coefficient is 59.2 (the closer to 100, the worse. Most countries have a level of 20-30). Only five countries are more unequal: Botswana, Namibia, South Africa, Comoros and the Seychelles. Despite foreign aid of US$4-5 billion since the earthquake in January 2010, Haiti’s unemployment rate is still an unbelievable 90%. No, I haven’t got that the wrong way round. Only about one in ten people have proper jobs. For those lucky enough to have regular work the minimum wage is $5 a day. The others sell things by the roadside or make a few dollars where they can. The economy basically revolves around aid, money sent back from Haitians living abroad and making American t-shirts: about three-quarters of exports are garment sales to the United States. Local farmers have been put out of business in recent years by an influx of cheap rice and environmental degradation. An enormous proportion of the country’s forests have been felled. Mudslides make farming impossible in many areas. Almost all consumer products are imported. The country has run a trade deficit for many years, mostly due to an ultra-liberal trading environment under which average tariffs are half the level of regional neighbours and where the economy is almost entirely open to foreign investment — a result, largely, of pressure from a certain neighbour to the north. On the bright side, most of the senior officials we’ve met are highly articulate, well-educated and hopeful. The main trade-related government departments have staff who could turn Haiti around if they were allowed to. As in so many poor countries the problem is not bad decision-making or an absence of talent. Haiti’s chronic underdevelopment is due to terrible leadership and a difficult international situation. Haiti is much poorer now than under the Duvaliers in the 1950s-80s. They were the worst kind of dictators; people who ran the country as their personal fiefdom in a brutal, cynical and stupid process of self-enrichment. Stupid in the sense that unlike some autocrats the Duvaliers didn’t understand that if they grew the economy there’d be more to steal. They appear to have just ripped off what they could — Papa Doc used the national tobacco company as his personal slush fund — without bothering to move the national economy forward. They didn’t act in a vacuum. The United States has long interfered in Haiti. Reagan supported these despots in the early 1980s because of their anti-communism, before eventually persuading them to leave for France in 1986. In 2002 the US is rumoured to have helped depose the first democratically-elected president, Aristide, flying him against his will to the Central African Republic. Haiti has the strategic misfortune to lie near the entrance to the Panama canal, through which half of the world’s ships pass. It’s also been an ally of Cuba, only sixty miles to the northwest. The US has such influence in economic policy that over past decades it was able to prise open Haiti’s markets and liberalise trade. Now, a host of foreign businesses hope to buy up tracts of land for golf courses and self-contained resorts. The current president is perhaps more bearable than the Duvaliers but he’s still America’s man. Despite all the development money and the massive UN force and the well-intentioned officials, development will always be a matter of politics. Things don’t look like improving quickly for the poor of Port-au-Prince. Americans, like most of us, love their cheap t-shirts too much. A very depressing picture. It almost seems as though other countries somehow need a desperately poor country to idnetify their own, relatively affluent, situations. The Gini coefficient is just a measure of equality. The closer to 100, the less equal. Amy Goodman, and Democracy Now! reported on Haiti, when Aristide was removed (by the USA). This removal of their President, greatly affected the people of Haiti. They chose their leader, who loved his people; only to lose all the positive actions that he implemented in Haiti. What would this country be like today if we had not interfered? Yes, I agree. In my few months in the Caribbean I began to comprehend just what a destabilising impact the US has had on the region. The domestic and international political economy of Haiti is just horrifying. No wonder civil society amounts to little more than a slogan of the aid agencies. Visiting Guantanamo was salutory. In itself it scotches any lingering legitimacy or democratic credentials that Washington may have once possessed.